It's never too late to pick up the valuable skill of coding. The Complete 2018 Learn to Code Bundle is here to help. Coding is an incredibly valuable skill in the modern workplace. Whether you're looking to launch a career as a programmer or just want to bolster your resume, you can pick up the skills you need with the help of the Complete 2018 Learn to Code Bundle. It's on sale now for just $34.99 (approx. £25). The Complete 2018 Learn to Code Bundle has everything you need to get started with the art of coding. 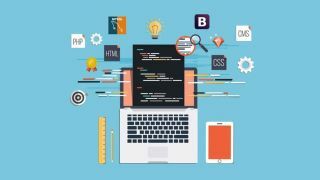 No matter your starting skill level, this bundle is designed to give you the knowhow you need to become a talented developer with the skills to succeed. You'll find more than 210 hours of actionable content in these nine professionally-taught courses on the most important programming languages, from Java to Ruby on Rails and Python. The Learn to Code 2018 Bundle usually retails for $1,357, but you can get it on sale now for just $34.99 (approx. £25). That's an unbeatable saving for a must-have learning bundle, so grab this deal today.